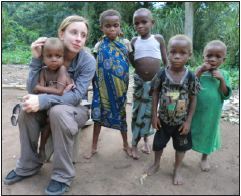 Our hearts are broken by the much neglected, shy Batwa people (Pygmees) who live deep in the forest of DR Congo. When first introduced, Don immediately saw their plight and met with the local chiefs asking, “How can we help?” With no church, school, or medical facility in this area, 3,000 people are estimated to live in forested small villages of 40-60 people. Understanding their desires and needs, Equipping Ministries is helping clear land, prepare lumber, and begin construction for a new church plant, school, and medical facility. Working hard with Equipping Ministries, the Pygmees are volunteering most of the labor at the site they chose, deep in this triple canopy rainforest.